Every Monday I share an excerpt from my Energy Drink Guide. This week’s excerpt is bartender wisdom from PART ONE: Are They Safe. This week’s excerpt is important because too many people underestimate the danger of combining alcohol and energy drinks. 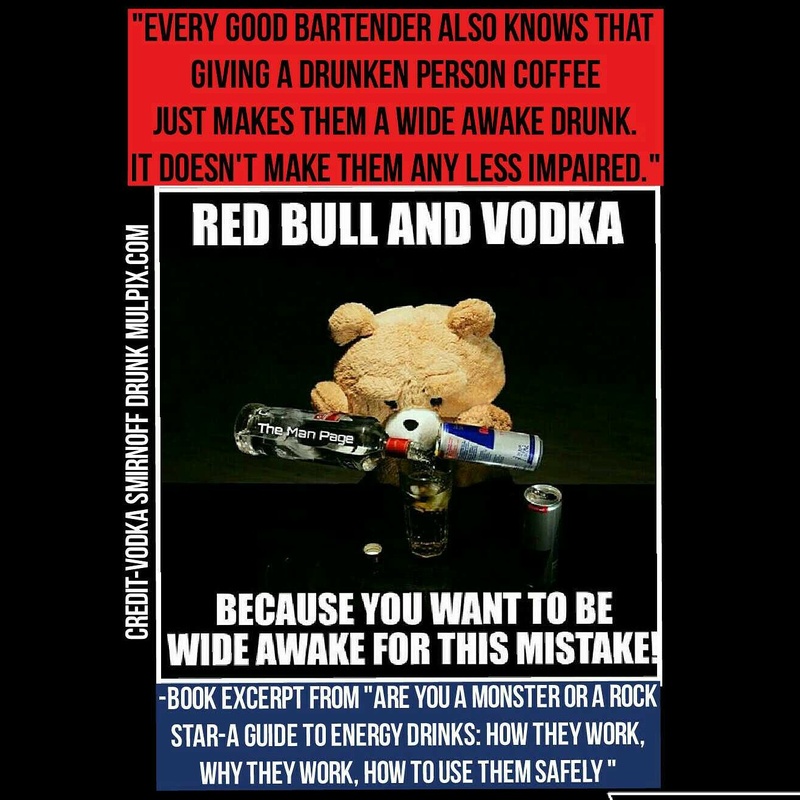 In fact I often tell people that the most dangerous thing about Red Bull is the alarming frequency at which people mix it with alcohol.